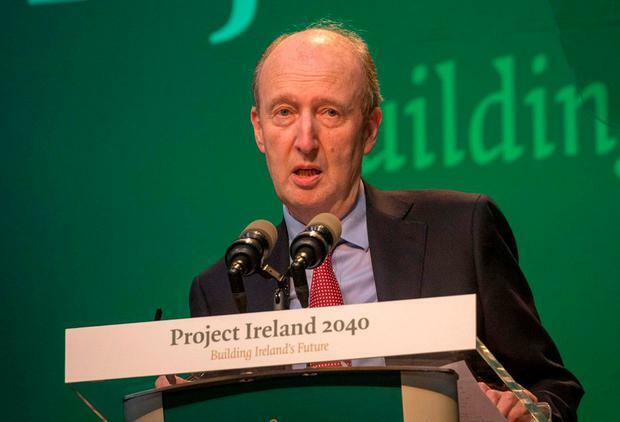 Transport Minister Shane Ross has called for additional Garda facilities to be housed in the closed Stepaside garda station in his constituency as the refurbishment of the building is expected to be ruled out. In an email to constituents, Mr Ross said a decision is close on the future of the station, which closed in 2013. It is expected that the proposal to build a modular station off-site, which would be established in the car park of the current station, is to be given the go-ahead by the Department of Justice. It is the preferred option of the Office of Public Works and gardaí and is supported by Mr Ross. This approach emerged following an assessment that said refurbishing the original station, which is dilapidated and has a number of structural issues, would cost some €2m and would take up to three years to complete. Despite these concerns, Mr Ross has told his constituents he “would also be keen to explore the possibility of additional Garda activities returning to the main building in time”. A spokesperson for the minister said he was referring to a desire to see the station considered for use if additional needs emerge for gardaí or for the local community in future. It is understood this has not formed the basis of any of the current discussions around the future of the station, however. Any refurbishment of the building is likely to cost a substantial sum. In his email update, Mr Ross revealed he had initial concerns around the planned solution due to fears it would reduce parking and because he had queries about the quality of the building. The reopening of the station was a red-line issue for the minister during negotiations to form the current Government. The station was later designated as one of six to be reopened under a pilot scheme, however question marks have emerged over whether the reopening of the station represents value for money. Assistant Commissioner Pat Leahy told the Public Accounts Committee he would not have chosen the station to be reopened based on policing resources.